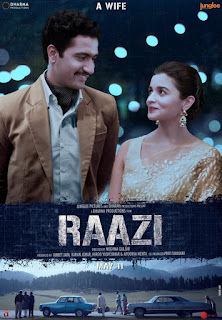 Raazi starring Alia Bhatt, Vicky Kaushal, Rajit Kapoor, Shishir Sharma, Jaideep Ahlawat, Soni Razdan & Amruta Khanvilkar had got approx 1800 screens across India. Meghna Gulzar's Directional venture Drama Raazi is big budget film. Raazi Should cross 60.00 Crore to be called a hit. Film should do 50.00Cr business at Domestic Box Office to recover investment only. No Comment to " Raazi Budget, Screens & Box Office Collection India, Overseas, WorldWide "